this is a freetime work of mine. 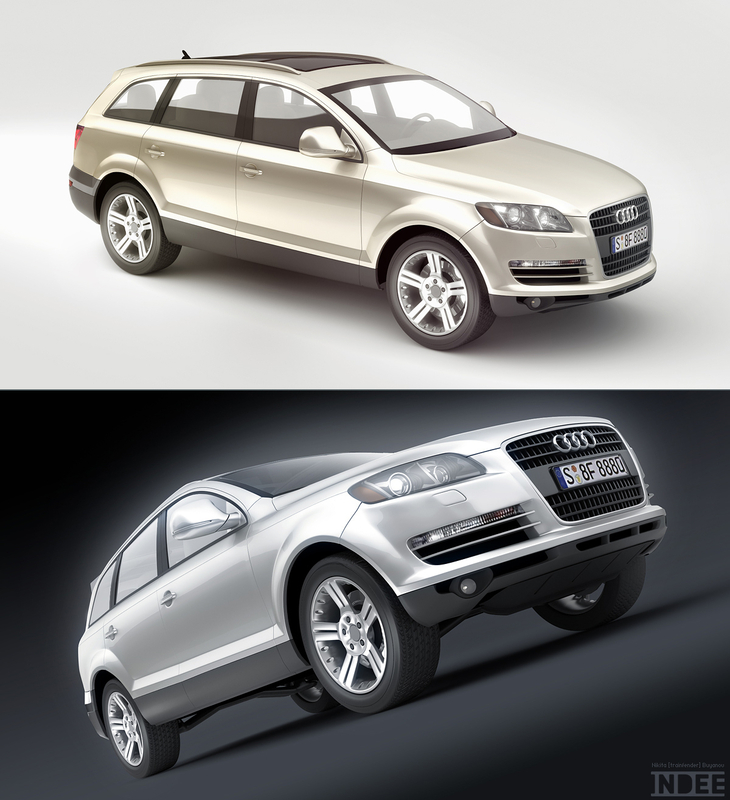 I studied studio shots of cars and tried to reconstruct setup in 3dsmax (vray). All rendered using V-Ray with dome lightning and 3 fake reflectors for reflections :) with 2x oversampling and IRMap for primary bounces and brute force for secondary. This pictures represent almost pure render quality - photoshop corrections were minimal.